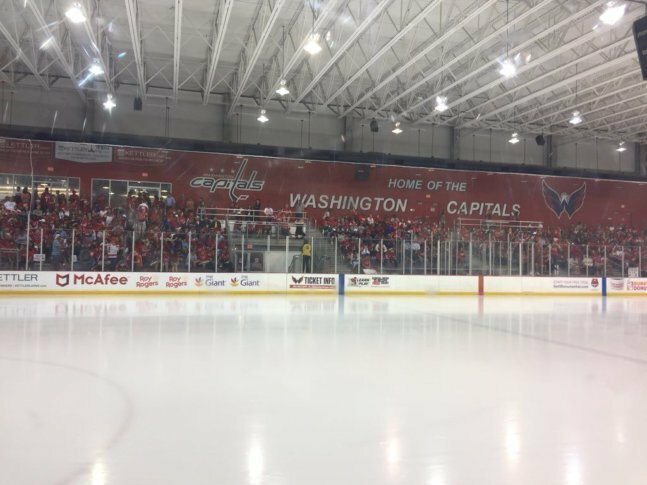 WASHINGTON — More than 6,000 fans showed up to Kettler Iceplex for one last practice before the Washington Capitals headed off to Las Vegas to take on the Golden Knights. Every seat in the house was taken, and fans stood four and five rows deep along the boards — some with their kids on top of their shoulders — to watch what was a relatively light practice before the team departed for the airport. As players first emerged from the locker room to take to the ice, they made it a point to acknowledge the fans, with defense man Dmitry Orlov shaking his fists in the air to get everyone pumped up. Afterward, the players left the dressing room down a walkway lined by fans and balloons as they headed out west. “These fans love the players and all this pent up emotion and love, it’s great to see,” said Leonsis. Game one will be Monday night in Las Vegas. WTOP’s Brennan Haselton is in Las Vegas covering the Caps and the Stanley Cup. Full coverage on WTOP.com.